Hockey Returns to Ontario (California) Tonight! 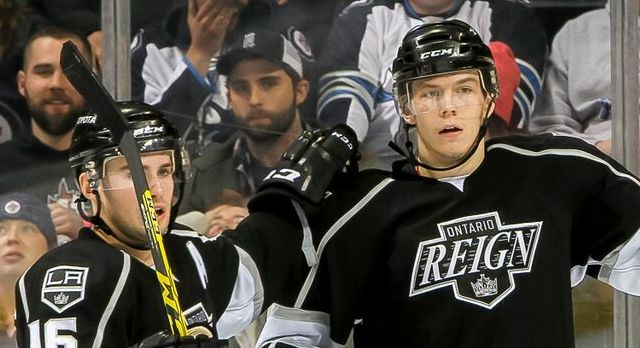 The Good: Tonight is Opening Night for Ontario (California) hockey. Hubby, Son and I will be on the red line in the second tier seats. I look forward to seeing the new AHL players (some of whom we may have seen before when they were in the ECHL.) I also look forward to seeing the team mascots (New? Old with new logo? The front office isn’t telling.) And of course I look forward to our boys stomping the snot out of the similarly-upgraded Bakersfield Condors. Go Reign! The Bad: Writing has not been happening. That will change in November, if not sooner. But definitely in November. The Ugly: Before we left for our trip to New England, I had hyper-extended my left knee. The left knee was in bad shape to begin with, as I have no anterior cruciate ligament (ACL) due to an old ice skating injury. And of course I haven’t had the good sense to stay off it. I’ve danced on it (twice! ), trekked through airports and department stores on it, and generally abused it. It is enjoying its revenge, which will probably get worse what with climbing to my seat tonight. And no, I haven’t had the sense to see a doctor about it, either. Right now I am sitting at a desk at Kleverdog, with my foot up on a filing cabinet, overdosing on ibuprofen. I intend to spend a week getting Hubby and Son to fetch and carry for me so this thing will actually heal a bit.